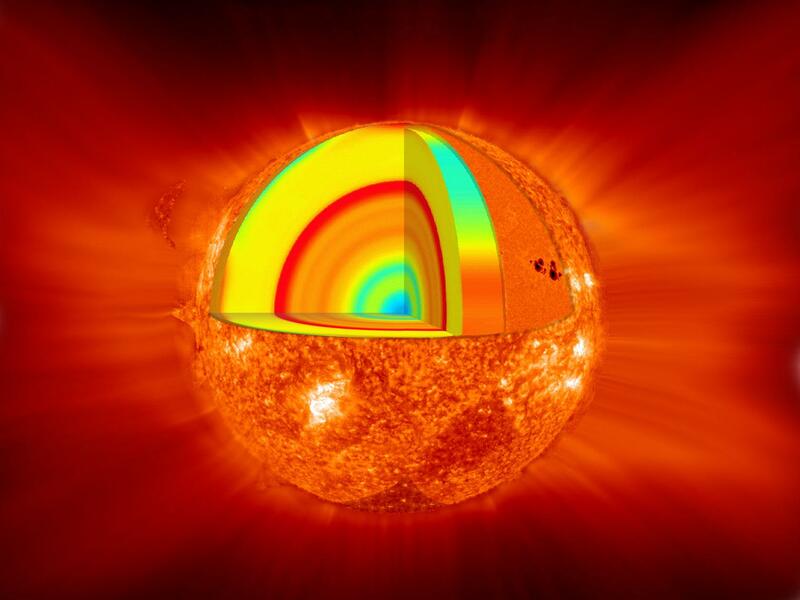 and the convection zone (the outer-most layer of the solar interior extending from a depth of about 200,000 km to the visible surface where its motion is seen as granules and supergranules. ). and the corona (the Sun's outer atmosphere.). Beyond the corona is the solar wind, which is actually an outward flow of coronal gas. The sun's magnetic fields rise through the convection zone and erupt through the photosphere into the chromosphere and corona. The eruptions lead to solar activity, which includes such phenomena as sunspots, flares, prominences, and coronal mass ejections.